India has seen immense technological advancements since its freedom from the British rule. However, India got its recognition as a republic after 3 years of consistent initiatives to bring the world’s biggest written constitution in power. It was a historic event which took place on 26th January, 1950. Today, India comes in the league of rapidly developing nations prepared to break into the superpower league. This is one of the aspects of Indian citizens that attract millions of tourists from different parts of world year after year. The travel & tourism industry of our country has seen an upward rise during the past few decades. This industry has been able to offer employment opportunity to a plethora of young men & women. We are privileged to be citizens of this great country. More importantly, we are glad to be part of an industry which has been serving visitors from different countries and ensuring that they have a beautiful stay in India. We are absolutely convinced that nobody can be perfect, but this doesn’t stop us to improve on a regular basis. We continuously strive towards maximum customer satisfaction. 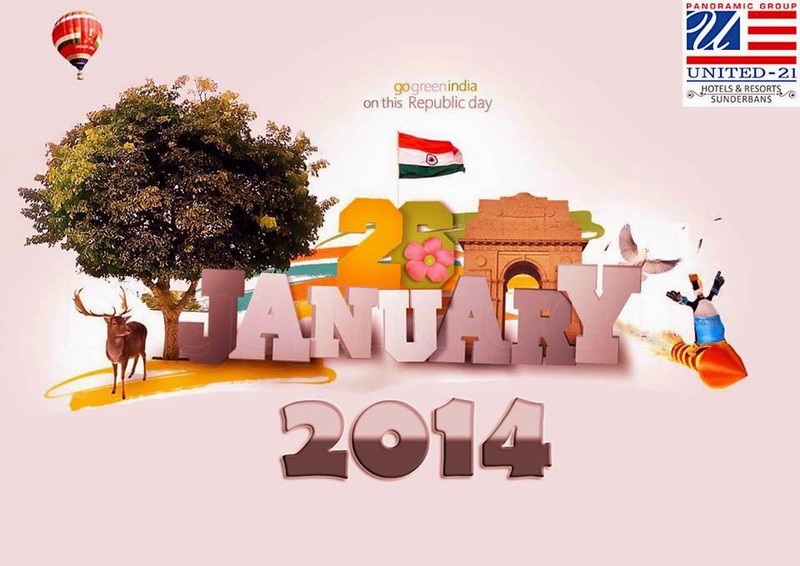 United-21 Resort, Sunderbans wishes you a joyous Republic Day. There is one great attraction, which the tourists of Udaipur cannot afford to miss. It is none other than Kumbhalgarh Fort, a fortress of Mewar region located at a distance of about 82 kilometres to the north-west of Udaipur. Built during the fifteenth century, this hill fort is now a UNESCO World Heritage Site. Its construction began with Rana Kumbha, and additions were made by several rulers over a period of time till the nineteenth century. Kumbhalgarh Fort sits at an elevation of about 1,100 metres above sea-level, and has perimeter wall extending to 36 kilometres. This is the second-longest continuous wall in the world after the Great Wall of China. Within the fort, there are more than 360 temples. According to the local legends, enormous lamps were burnt to provide light for farmers working in the valley during nights. These lamps consumed almost fifty kilograms of clarified butter and hundred kilograms of cotton. Every year, many tourists of Rajasthan visit this fort and marvel at its massive walls. Several options available in local transport and accommodation in any of the excellent resorts in Udaipur would help tourists in reaching this site conveniently. Modern facilities provided in such resorts can make their stay truly memorable. 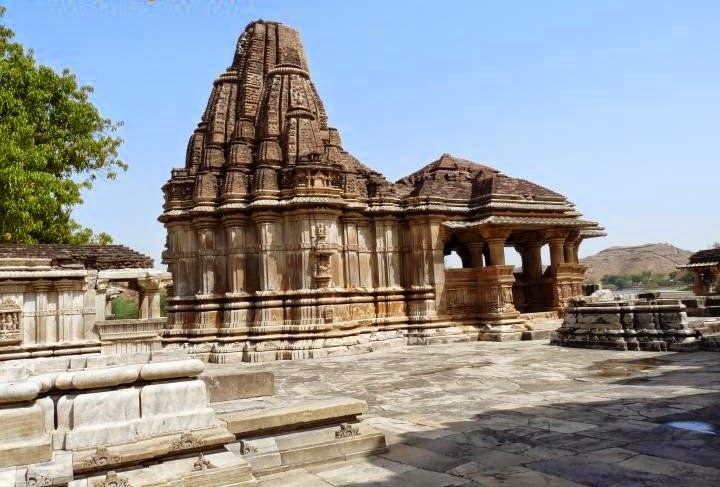 Listed among the most popular temples in Rajasthan, Eklingji Temple got its name from Eklingji town. This temple is dedicated to Lord Shiva. Built in 734 A.D. by Bappa Rawal, this temple was became the ruling deity of Mewar rulers. In the later years, the temple was modified and repaired by various kings who ruled here. The impeccable architecture of this temple draws a lot of tourists every year. The double-storied temple appears truly epic with its pyramidal style of roof & distinctly carved tower. Its outer walls are stretched with steps that go down touching the calm water. Inside its complex lies a gigantic pillared hall that is sheltered through pyramidal roof. The temple's beauty and ambiance would make your Udaipur Holiday a memorable experience. This is not the only temple in Udaipur, as there are many more that can blow away your mind and leave you awestruck. You can adore their ancient beauty and relish the experience of visiting them for many years to come. If you intend to make the most of your trip and avoid accommodation related hassles, then you should research about Udaipur hotels & resorts. Spend few moments online to understand the hotel rates in this city to make the decision-making easier.